Content warning: this article contains discussion and description of violence, mental illness, and serious injuries. Today a jury found Alex Ophel not guilty due to mental impairment on five counts of attempted murder. The verdict came after four days of deliberations, and three weeks of hearings. Ophel remains in custody under the Crimes Act and the Mental Health Act. In August 2017, Ophel entered his statistics tutorial and used a baseball bat to attack students and the tutor. Injuries included broken arms and fractured skulls. In the time since his arrest, Ophel has been diagnosed with schizophrenia. The issue at hand was whether Ophel met the test for mental impairment at the time of the incident. The jury heard from psychiatric experts who assessed Ophel at various stages after the incident. Over the course of the hearing, the jury also heard from victims, witnesses, emergency service personnel, ANU staff, and Ophel’s schoolmates. The Court was shown evidence including Ophel’s YouTube videos, messages he had sent to friends, and his search history, which showed Ophel had searched for information about ACT prison sentences. Drawing from such evidence, the Crown in closing said that the incident involved “significant research and planning”, and argued that Ophel’s schoolmates’ testimony showed he had an interest in violence. In his closing, Counsel for the Defence questioned the importance of witnesses from Ophel’s school years. He also emphasised witness testimony of the incident which described Ophel as looking “dazed” and “out of it”. In his directions to the jury, Justice John Burns spoke extensively on the Crown case. He said it was a “fallacy” for the Crown to suggest that Ophel did not meet the mental impairment test due to him knowing the attack would lead to him being imprisoned, and that instead the test was about the accused’s ability to reason about his conduct. His Honor was also critical of the Crown for not calling Ophel’s parents or treating practitioners in the course of the trial. He reminded the jury that they were “the sole judges of fact”, and said they should “take as long as [they felt] necessary”. After Justice Burns’ directions on Thursday morning, the jury deliberated for four days. They delivered their verdict this morning just before 11am. They found Ophel not guilty by reason of mental impairment on five counts of attempted murder, and because of this, did not need to consider the assault charges that the Crown had put forward in the alternative. In the first trial, the jury was unable to reach a verdict after three and a half days of deliberation, and so Chief Justice Helen Murrell discharged the jury. 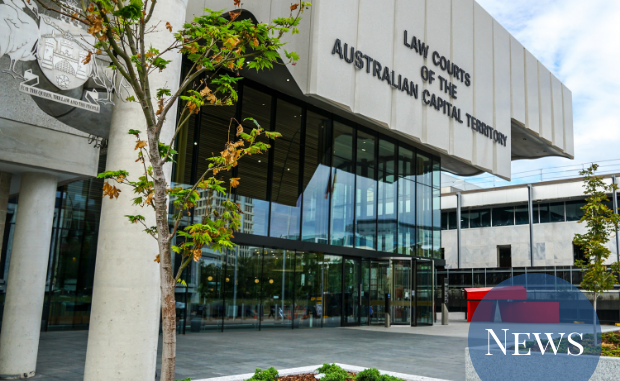 As Ophel was charged with serious offences, he is to be detained for “immediate review” by the ACT Civil and Administrative Tribunal (ACAT) under the Mental Health Act. When giving directions last week, Justice Burns explained that ACAT will evaluate whether Ophel presents a “danger” to society. The Mental Health Act provides that ACAT must review the detention of a person “at least monthly”. If ACAT decides at any point that Ophel can be released, Justice Burns said that the Tribunal can make a “psychiatric treatment order”. Observer closely followed the three weeks of proceedings, producing a daily blog. Please note that the blog contains significantly more graphic content than this article.